camera takes awesum pics even indoors. camera has cont. autofocus in vdo. check cam samples from gsmarena.personally i think super clear lcd of sgsl is way better than the so called nova.just check you tube.or go to ur local market and check them out.the clarity of sgsl display is simply out of the world,its a totaly different technology.where as nova is normal lcd with increased brightness. Hi GSL owners, I wanna ask again what's the Capacity of the external microSD storage that comes with it? AnonD-12462, 17 Jul 2011@bbsan hey bro was in the same confusion went for nexus s koz m now gauranteed for al OS up... morethanks am going for Nexus S ....!!! What's the ROM capacity of this phone? VPN doesn't work in Galaxy SL I9003. The connection always fails. Hi GSL owners, I wanna ask how much is the Capacity of the external microSD storage that comes with it. Nannu, 17 Jul 2011hi everyone plzzz help ....tell me which one is the best Samsung I9003 Galaxy SL OR Sony Er... moreDo not compare galaxy sl with Persia x10. 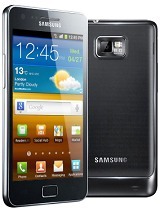 Undoubted , galaxy sl is the winner by miles. 1. Does OB shows lag while navigating through menu screen or while browsing or while playing games? 2. Can I install Latest Android based Games on it and feel assured that it will not lag or hang ? 3. Does SL has a better responsive screen than OB ? 4. Whose sound quality is better (both on loudspeaker and on earphones) ? 5. Is Internal Memory ( which is 2Gb in OB n 4GB in SL) is really a big matter of concern while using more than one applications at a time ? 6. Can I install applications on the memory card in Android OS based phones ? 7. All in all I am more worried about the lag issue. I want a phone that can run smoothly n without any hassle. I hate phones which shows lag. i want to choose from these two phones only So GSMA Community, It would be a great help if any one from you can answer my questions.